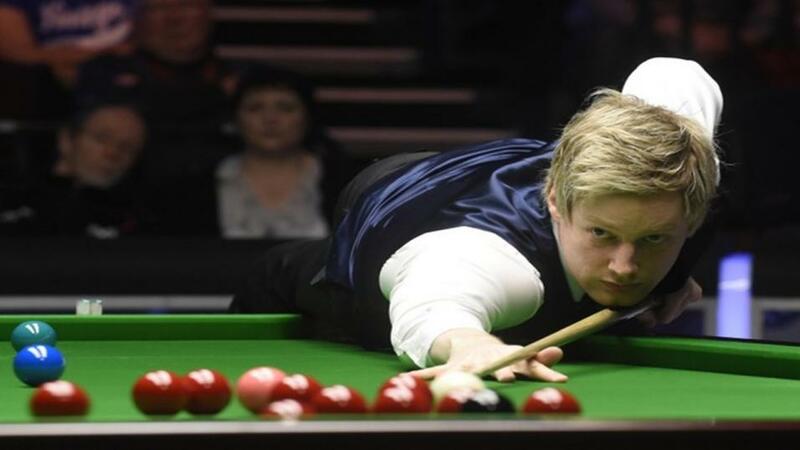 "Neil Robertson turned in arguably the best performance of the last round. 3-0 down to an in-form opponent, the twice former UK champion won six on the bounce, hitting a sixty plus break in every frame including three tons." Ronnie O'Sullivan is trading at just [2.9] to win a record-breaking seventh UK Championship title after securing a last-16 spot with a 6-0 whitewash. Prohibitive odds, for sure, but don't be surprised if they shorten further before he plays again, because Tuesday could well see several rivals bite the dust. Having won his last eight matches against Mark King, second favourite Judd Trump must be fancied to progress although after the way he laboured to beat Dominic Dale, it would take a brave punter to pile in at [1.27]. Likewise Ding Junhui's dominance over compatriot Xiao Guodong makes him hard to oppose but nothing in his recent form warrants a bet at [1.5]. Although one of my initial outright picks, it is hard to be confident about Mark Allen following his performance against Rory McLeod and scathing post-match comments about conditions. This opponent is considerably tougher and worthy of a back-to-lay at [3.9]. Hossein Vafaei won two World Amateur titles and has made promising strides through the pro-ranks in the three years he's been able to fully compete, most notably reaching a China Open semi. He's claimed a good scalp already in Martin Gould and is good enough to capitalise if Allen under-performs again. The Iranian lost 6-3 when they met at this stage of the International Championship but Allen was in world-beating form that week. Barry Hawkins looks another vulnerable favourite, despite not losing a frame yet. He only hit five fifty breaks during those two victories, with no tons, and had previously been struggling to find anything like his best form. Take him on at [1.42]. Again, he's now facing stronger opposition. Gary Wilson is well capable of going on a run, as demonstrated when reaching the 2015 China Open final and this year's Welsh Open semis. He turned around a 2-0 deficit in fine style to win 6-3 in the last round, hitting five sixty-plus breaks including two tons. One major contender oozing confidence right now is Neil Robertson, who turned in arguably the best performance of the last round. 3-0 down to an in-form opponent, the twice former UK champion won six on the bounce, hitting a sixty plus break in every frame including three tons. He's beaten Graeme Dott in eight of their last 11 encounters and is tipped to defy the 2.5 Frame Handicap.